Musement takes a trip around the world to share 10 Christmas traditions that will make you go “hmmm”. Fir trees decorated with ornaments and colored lights is one of the world’s most universal Christmas symbols. Before representing the birth and immortality of Christ, fir trees were present in pre-Christian and pagan societies. In Ancient Greece, the tree was consecrated to the Goddess Artemis; in Germanic and Norman religion, fir was the sacred tree of Odin, while the Vikings decorated a spruce tree, which they considered to be magical, to celebrate the winter solstice. Yes, the tradition of decorating a tree is one of the world’s best known Christmas traditions, but there are many other less well-known and very interesting ones, some of which just might shock you. Here are ten of them. Once upon a time peasants disguised themselves as devils during a famine to frighten the country folk and steal their supplies. One day, the devil himself decided to partake in the festivities and hid among the costumed peasants. However, his goat hooves revealed his true identity and so Saint Nicholas was summoned to defeat him. Since then, Krampus, a monster with gigantic goat horns dressed in rags, “cheers up” the nights of the Christmas season. He wanders towns that once belonged to the Austro-Hungarian Empire in search of bad children to beat with his stick. In Trentino-Alto Adige, Austria and Bavaria, traditional holiday parades reenact the legend. St. Nicholas comes along in his carriage to try to convince the Krampus to leave the children in peace, but he is forced to leave at sunset and Krampus is free to run amok through the city streets. Do you prefer Halloween or Christmas? If you love both, here is a tradition that might be up your alley: Ukrainians decorate their Christmas trees with paper and plastic spiders and spiderwebs. Why? Well, legend says that once upon a time, a very poor family could not afford to decorate their tree. After they went to sleep on Christmas Eve, along came a thoughtful spider who decorated the tree for them with its shiny, silvery threads. The family woke up on Christmas morning to a very pleasant surprise. In Norway, it is a common belief that witches and evil spirits wander around on Christmas Eve. It’s no secret that the witches’ preferred means of transportation is a broom, so Norwegians stop cleaning the house on Christmas Eve and hide all their brooms. In Catalonia, there is a very special Christmas tradition. 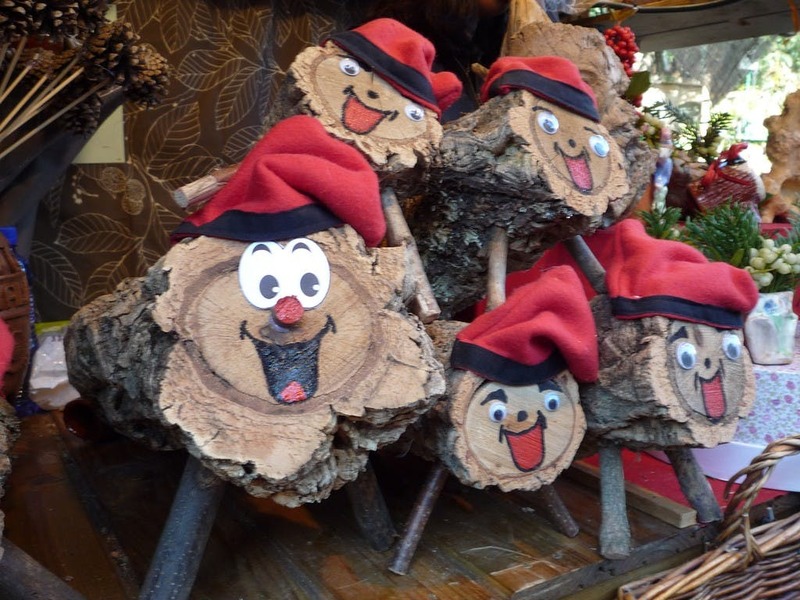 Families have a wood log, the Tiò de Nadal or cagatió, and feed it with fruit and biscuits during the Christmas period so that it can expel the gifts for children, who hit it with sticks on Christmas Day while singing to him. The more food you give him, the more gifts there will be! In Georgia, it is traditional to place Chichilaki (the beard of St. Basil) alongside the traditional Christmas tree. 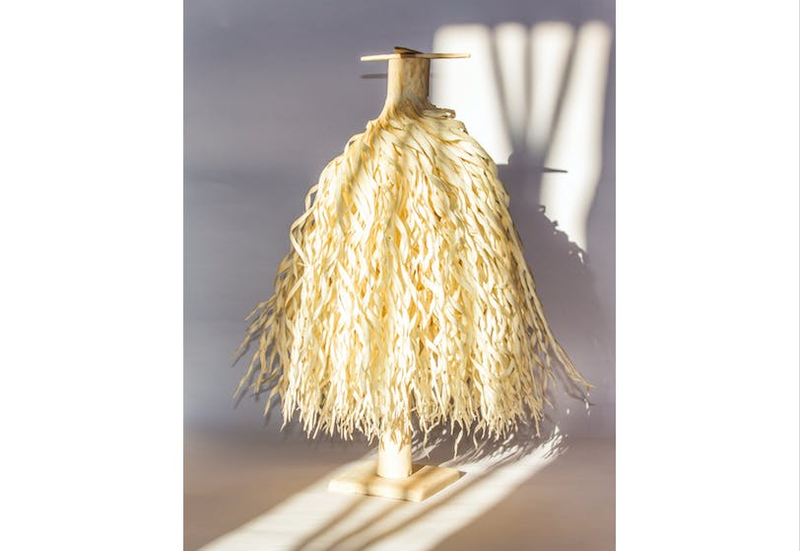 This small tree is made with stone or walnut wood chips according to a very ancient technique that only a few craftsmen know. Dried fruit decorates the tree, which is then burned at the Epiphany, a cathartic rite that serves to get rid of the previous year’s negativity. In Italy, every region has its own Christmas traditions. 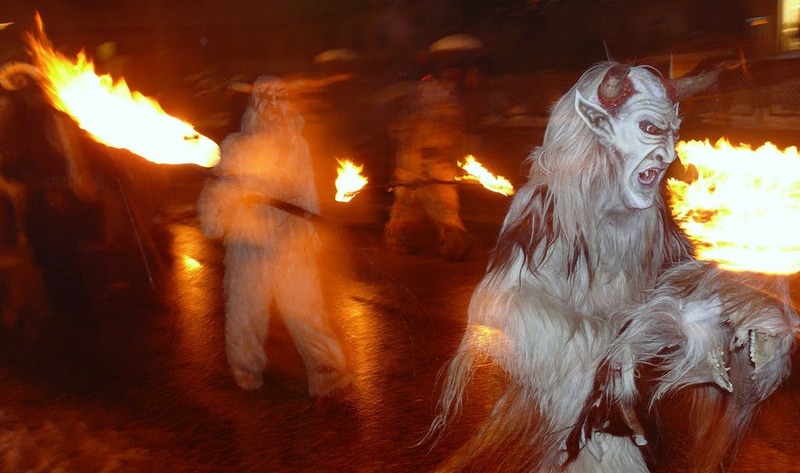 In the village of Lanciano in Abruzzo, celebrations begin with the chiming of the Squilla. When the bell rings, the village’s inhabitants start a procession that recalls what Bishop Tasso did at the end of 1500 during which the faithful carry lit candles in their hands. On Christmas Eve in the village of Tufillo, locals burn a farchia, a 20-meter / 65-foot high tree trunk. All Neapolitan Christmas Eve tables feature an eel dish called “Il Capitone”. 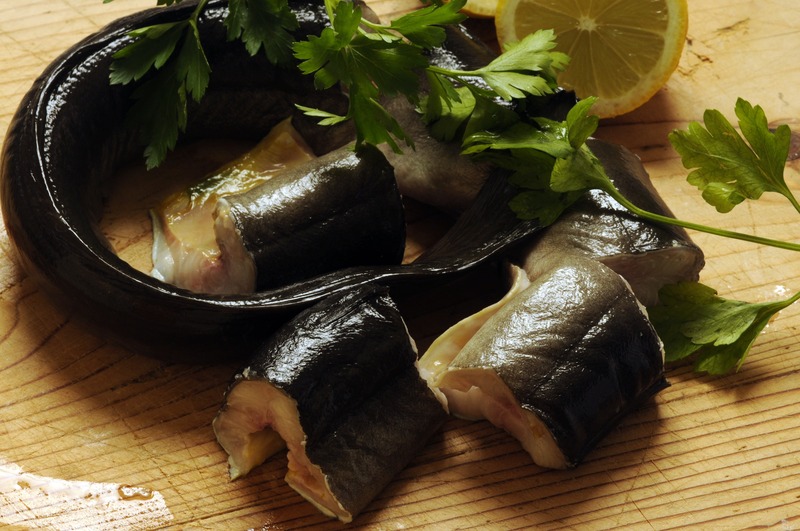 The eel is usually purchased alive and then cooked with oil, garlic, lemon, pepper and bay leaves. It’s traditional to eat it on the evening of 24 December as it symbolizes the tempting serpent of the Bible who is defeated. This next interesting culinary tradition takes place further north. Greenland’s typical winter foods are Mattak, raw whale skin with a layer of fat, and Kiviak. The latter a delicacy made from an auk bird. Its feathers, beak, meat and all the rest are placed in a seal carcass and left to ferment for at least 18 months. Ideal for not staying without supplies in the icy cold winter. Bon appetit! Also north is Jólakötturinn, the dreadful gigantic Yule Cat from Icelandic folklore that wanders around the ice in search of people to eat, particularly those who have not received new clothes for Christmas. Jólakötturinn belongs to Giantess Grýla, who lives in a cave with her third husband Leppalúði. It’s said that during the Christmas period, Grýla wanders around the villages in search of bad children who would make delicious snacks for her pet. In Finland, spending some quality family time in the sauna is a Christmas Eve tradition. 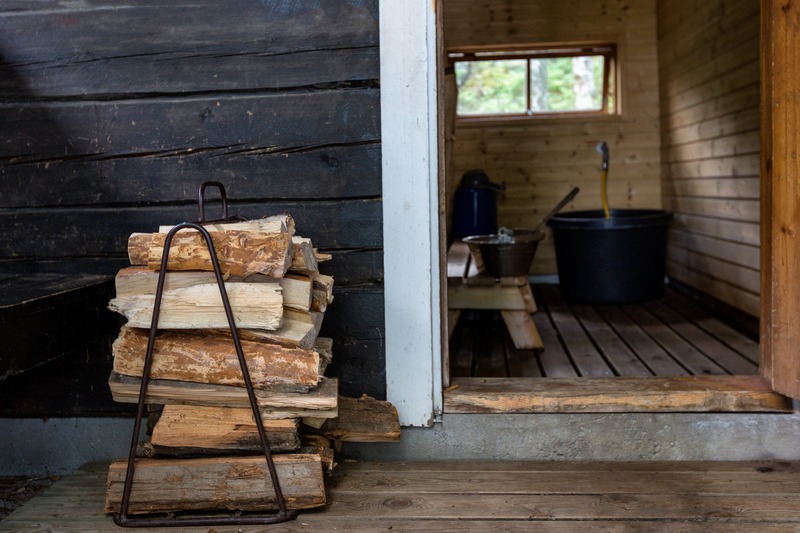 This custom stems from the fact that the Finns believe that the spirits of their ancestors live in the saunas of their homes, so families honor them every Christmas Eve them by having a long silent sauna together.